Popular accessories manufacturer Vocas just released details of their newest accessories for the Sony FS7 II, including a new dedicated baseplate, H-cheesplate and more! This is really perfect time as we've just received our first shipment of the new Sony PXW-FS7 II. If you recall, Vocas were the first third party manufacturer to have a dedicated baseplate for the original FS7, whcih was released back in October 2017, and now in January 2017, they seem to be the first ones again to bring a new dedicated baseplate and a few other very useful accessories for the FS7 II. The new baseplate for the FS7 II features a new removable and adjustable shoulder pad. 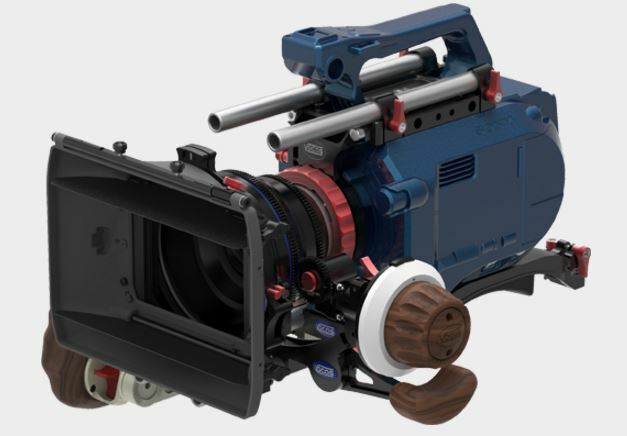 By removing the shoulder pad, users have a direct access, giving the camera 5 separate mounting points between the Vocas baseplate and the FS7 II, thus creating a very secure connection. Also new are integrated rail holders at the front and the rear of the plate. At the back of the new base plate users will be able to find the an adjustable VCT-14 mushroom lock (which is toolless) eliminating the annoying plate from some VCT-14 plates. 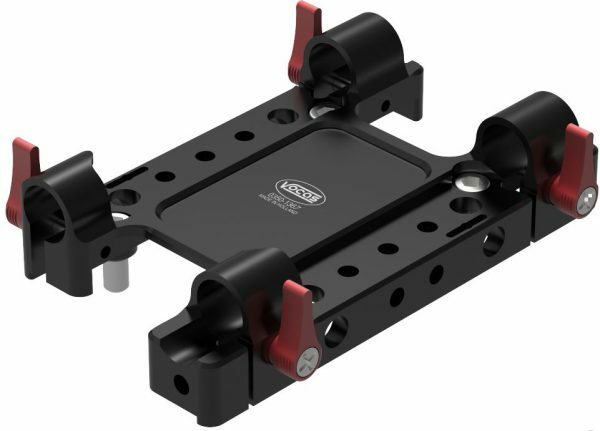 The price of the new Vocas Baseplate MkII for the FS7 II is £520 + VAT and can be ordered via our website here. This new baseplate is also compatible with the existing FS7 as well. We are expecting to receive stock of these very soon. The new top mounted H-cheese plate (£180 + VAT), includes 15mm spaced holes for industry standard 15mm rods. This allows the use of all Vocas accessories including matte boxes and/or follow focus units. The PL support (currently priced around £92 + VAT) can be mounted on the H-cheese plate to support the Vocas E-mount to PL adapter 0900-0016, which accommodates professional CINE Primes and zoom lenses. The top H-cheese plate and the new PL support are both compatible with the FS7 II and FS7, and allow the use of the original camera handle. For users planning on using heavy lenses in combination with the Sony PXW-FS7 or the new FS7 II we highly recommend the Vocas Universal Baseplate system. Or as we commonly call it - the USBP-15 MKII base plate. For users who already own a USBP-15 MKII, you can now use your FS7 II in combination with a newly developed adapter plate for the (0350-2255). The new adapter plate by itself is just north of £100 + VAT and you can get it here. A dedicated full Vocas Sliding System set (0350-2207) for the Sony PXW-FS7 / FS7 II is also available, which includes the new FS7 II adapter plate (the top part pictured above)! 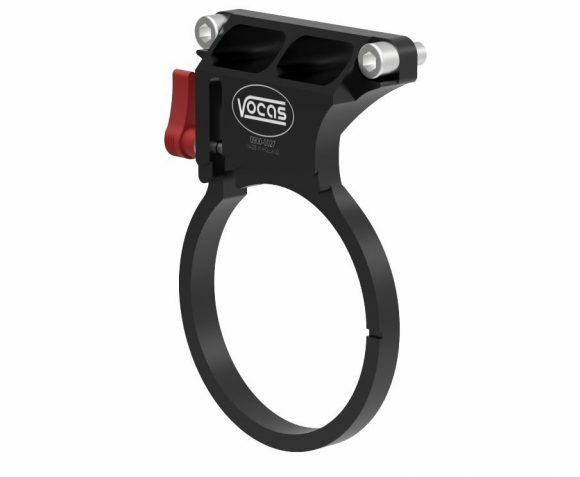 The big benefit of using the Vocas Sliding System is the ability to transfer the camera from 15 mm, to 19 mm, to a drone or a tripod in seconds! For any FS7 II accessories questions and requirements do get in touch at with our Vocas and Sony specialists at 0208 977 1222.